It's such a pity this film isn't more popular! The pace of the narrative is great. It is engaging from the first minute. It's also evident to see how long they've taken to film it, as the boys grow along with the lion - about three years. 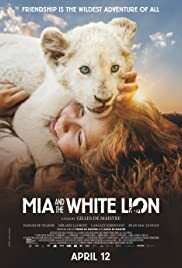 While it focuses on the relationship between Mia and this wonderful lion, it also deals with family ties, connection with nature and the hard way in which these animal farms have to survive. Super recommended!